discussion is going on there about it already. 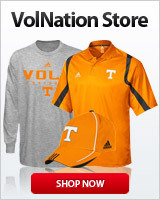 This really helps them solidify the number one spot in the SEC. The addition of the A&M transfer and this former UConn five star player make them a top five team in the nation. He goes out and figures out a way to get the players he needs. He will have to do a lot more next year to get them there with some big losses. I see us moving to number one spot in the SEC and top five next season. Not giving up on this season getting there but our youth and inexperience vs these seasoned players seems right now to much to overcome. I wouldn't rule out MSST for next season. They have done a good job with recruiting, and Vic has a chance to see what he can do with mostly 5 star players as opposed to the 3 stars he usually gets. The probable starting lineup of Taylor1, Espinoza Hunter, Wiggins, Bibby and Taylor2 (with some solid bench options) will be able to play with any team in the country. If they get Rickea Jackson, they could be FF bound again. I know it's early, but I think the SEC next season will be (in no particular order) MSST, Tennessee, SC and then everyone else.